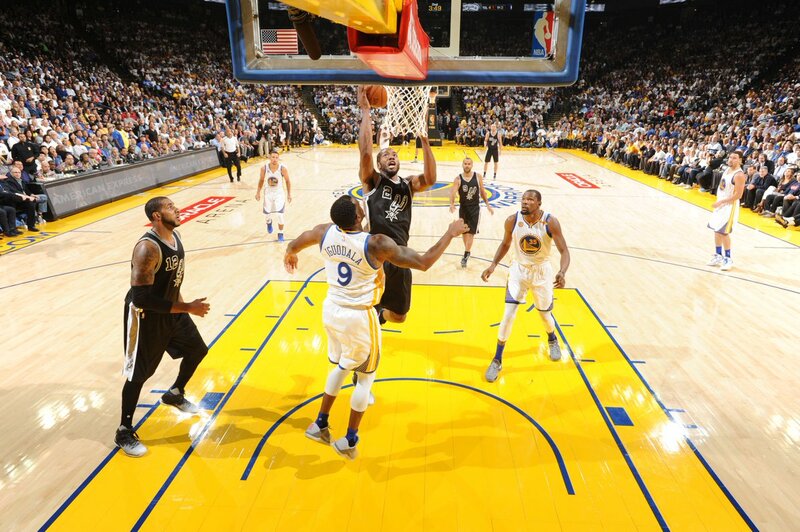 San Antonio Spurs issued a stern reality check to the highly-touted Golden State Warriors as they silenced the Oracle Arena with a dominant blowout. LaMarcus Aldridge notched a double double, while combining with Kawhi Leonard for an incredible 61-point hauling, spoiling Durant's Warriors debut, although the former OKC man did pitch a solid 27 points. Kevin Durant proved to be settling into Golden State life very well, going 4 for 4 to start the first quarter, including an excellent shot from beyond the arc, although the San Antonio Spurs were running with them, making for a very even opening period. LaMarcus Aldridge, amid the circulation of trade rumours, showed no signs of being unsettled as he bagged 6 points in the first 12 minutes, helping to construct a 19-4 run towards the tail end as Spurs lead by double digits at the end of the quarter. Aldridge also pulled off a remarkable fadeaway jumper midway through the second quarter as they turned on the heat. Coming off the bench for the Texan team, Jonathon Simmons was having a night to remember as he hit 12 to start with, and was having plenty of success from three-point range. 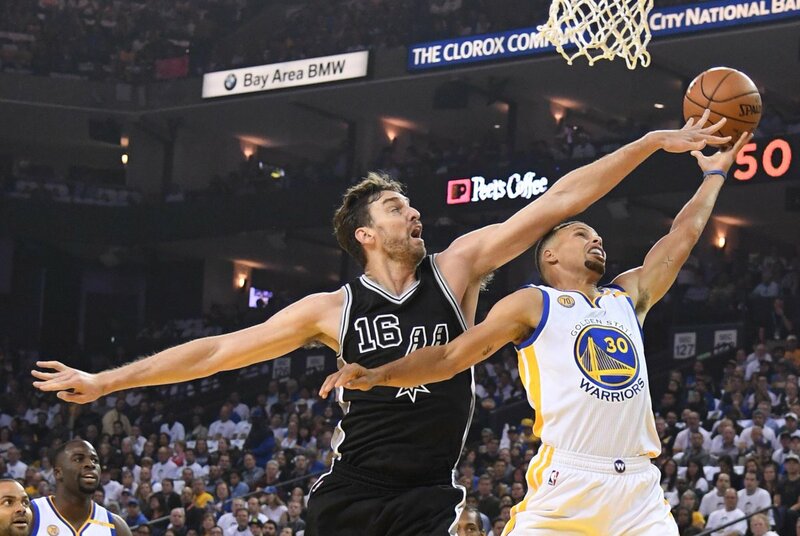 All of a sudden, the Warriors were beginning to look like a team in need of more gelling and moulding, as the Spurs' efficient and flamboyant ball movement opened all sorts of avenues. There were some spurts of hope for Golden State, with Curry dribbling to a halt and nailing a three pointer in typical fashion, however at half-time the visitors were in total control. They were up by 64-46 with two quarters in the books, as Simmons capped off an excellent showing by nailing a three-pointer at the buzzer. As things would turn out, Steve Kerr was unable to restore any order when the third quarter came around. Despite all the attacking firepower from the Californians, of course bolstered by the star-studded addition of Kevin Durant, they were completely locked down with rugged defence from the Spurs. Perhaps no better example came from that than Jonathon Simmons' emphatic swat to deny Steph Curry on a clear path. The ball fortunately came to him and he tried for the layup, but surging behind him was the 27 year old who once again thwarted the best. Tony Parker was still looking youthful as he danced his way towards the paint, while Kawhi Leonard could simply not be handled. The defensive player of the year award winner was also getting the points the other way, with 31 points. 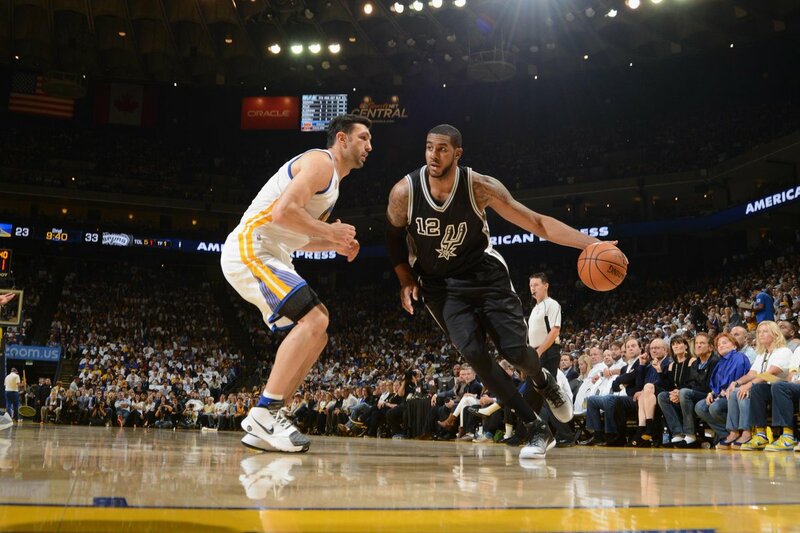 Meanwhile, LaMarcus Aldridge had a double double, crashing 10 boards and scoring 25. 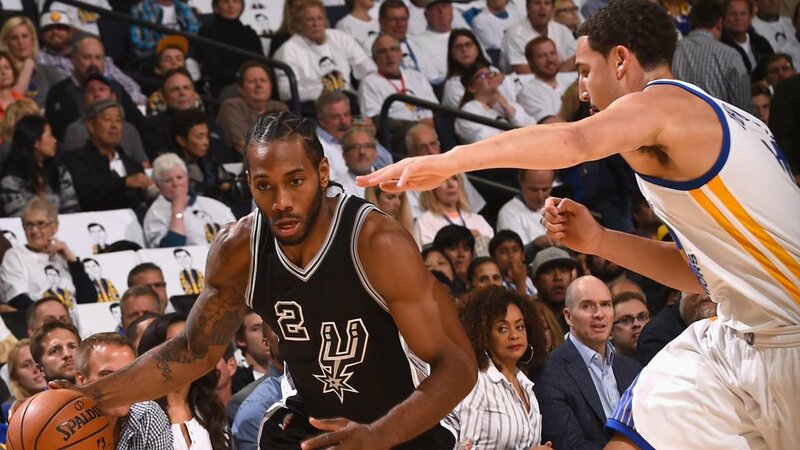 It was all wrapped up by the time the fourth quarter came round, giving more reason for some Leonard scoring and Parker to rest, and it ended with San Antonio running ahead to a 29 point lead, officially a blowout.